Our Problem, God’s Solution, Your Choice, Now! When we look at Jesus, we see the unexpected things that He does. If you are a follower of Jesus, you have experienced the unexpected nature of the journey. He takes us to places that at times breaks us and at times overwhelms us. We even have those encounters with Him in which He reveals our deepest secrets and exposes them to the light. In John 4, God allows us to see a few of those unexpected encounters during the time that Jesus, the God-man, walked among us. The first encounter is with those who hate Jesus. The Pharisees saw that Jesus was becoming a popular figure in the religious scene in Jerusalem. Their focused turned from John the Baptist, who seemingly stepped aside to let the spotlight shine on Jesus. The crowds saw something new and unique in Jesus, who spoke with an authority not heard from the Pharisees. So, the Pharisees sought to come up with a plan to eliminate Jesus. Since it wasn’t the time for the crucifixion, Jesus left Jerusalem and headed back to His home base in Galilee. Looking on a map, the shortest route for Jesus to take would go through Samaria. During the time Jesus spent on earth, Samaria was a place to be avoided. A thousand years earlier, Samaria and Judea were united during the reigns of Saul, David, and Solomon. After the death of Solomon, the kingdom split into two kingdoms, with Samaria becoming a hotbed of idol worship. The sins that took place plus the consequences of the Assyrian captivity turned Samaria into a place hated by the Jews. The Jews didn’t even consider the Samaritans to be Jews, but saw them someone lesser with whom they should not interact. So serious were the Jews in avoiding contact with the Samaritans, they avoided travelling through Samaria. The woman sarcastically replied, “You are sitting by a deep well with no bucket in sight. Where and how would you get ‘living’ water? Do you have something better than our father Jacob, who dug and maintained this well so even today, we can get clean water. The woman wanted this amazing water. “Please, Sir, give me a drink of this water. I want never to be thirsty again. I will never have to make this trip again. Here is where the encounter takes a turn in which the woman’s life becomes transparent before Jesus. 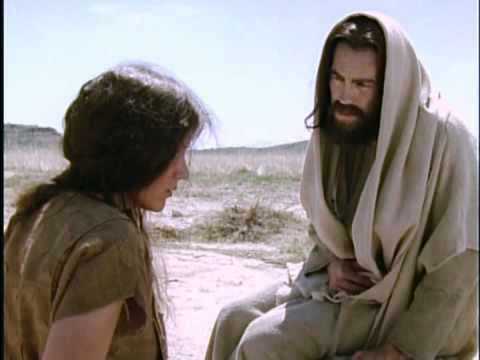 Jesus unexpectedly tells the woman to bring her husband to Him. The woman uses a technique that I have used when I don’t want to deal with my failures, turn the discussion into something else. She compliments Him, by calling Him a prophet. But then she asks a theological question. She asks, “Where are we supposed to worship?” In asking this question, she brings back the differences between Jews and Samaritans. She wants to start an argument. But Jesus doesn’t allow her to sidetrack Him. Jesus brings the discussion to her personal relationship with God. In reading what Jesus points out, He tells her and us that true worship doesn’t involve a place. How sad that we have forgotten these words of Jesus. We have our “sanctuaries” and “God’s house” in a building and miss that true worship occurs in our hearts, that the true “house of God” is our inner being. Jesus also told us that true worship is founded in truth and in spirit. It is not outward actions that fulfill a checklist that we have established. True worship is when we authentically worship God without putting on an act, without pretending something. It is when we, as broken people, pour out our praise for God. Jesus reminded her that truth worship is when we seek to enter into God’s presence. At this point the disciples return and look on in amazement that He has been talking to this woman. The woman runs away, returning to her hometown without her water pot. Stopping men and women, she shares the good news that has been told her, and points people to the Messiah. The excited people came out and approached Jesus. Jesus seemed energized by the people seeking Him. He tells the disciples, who wonder if He has been fed by someone else, that His nourishment is serving God. The woman shared with neighbors, who believed that Jesus was the Messiah. Others in Samaria believed because Jesus had told them the Truth. What a sad difference that Jesus experienced among His own people. When He got to Galilee, He saw no true faith in Him. So as He continue to travel to Cana, a government official approached Jesus, begging Him to help cure his young son who was on his death bed. He wanted Jesus to travel to Capernaum because he felt that Jesus had to go to his son or his son would die. But Jesus told the man that his word was enough for the young boy to be healed. The authority with which Jesus spoke provided the confidence the man needed to put faith in what Jesus had said. Before reaching home, servants met him with the news of the son’s miraculous recovery which happened at the time Jesus spoke. So where does this leave us? We need to expect God to do amazing and unexpected things in our lives. When He does, we are to rejoice in those things, and celebrate they blessings that come from Him. We also need to respond to His word in faith even when the circumstances paint a different picture. We need to lay aside our human reasoning that seeks our answers and solutions and trust Him. While we may not always understand what He does and why He does it, we need to allow Him to change us to Christ-likeness. This will stretch our faith and this will result in a us denying our plans and ambitions to do His will. Your turn. Take the time to read John 4. When you do, read the story as if you don’t know it and search for details. To help you, use these three questions to keep your attention. 1. Going from Judea to Galilee led Jesus to a place that most Jews avoided. What was the place? 2. What unexpected act did Jesus show a woman of Samaria? 3. What “signs and wonders” had the father of the dying son seen and trusted, and what did he trust after Jesus confronted his faith by saying “Except you see signs and wonders, you will not believe”?